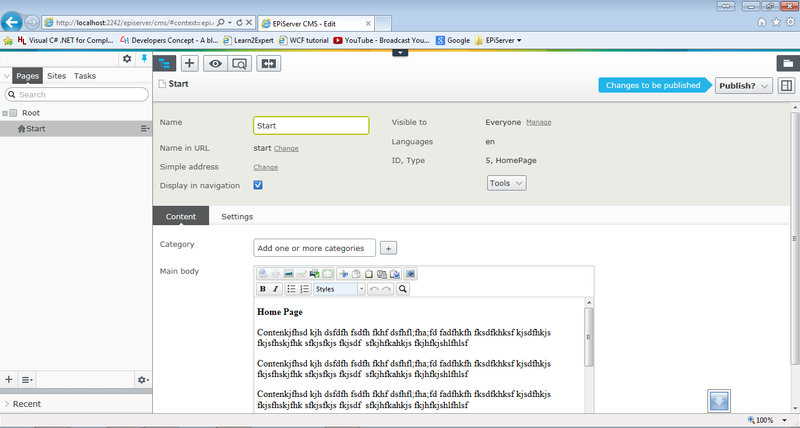 Today we will create a page type and template for start page based on EPiServer Content model. 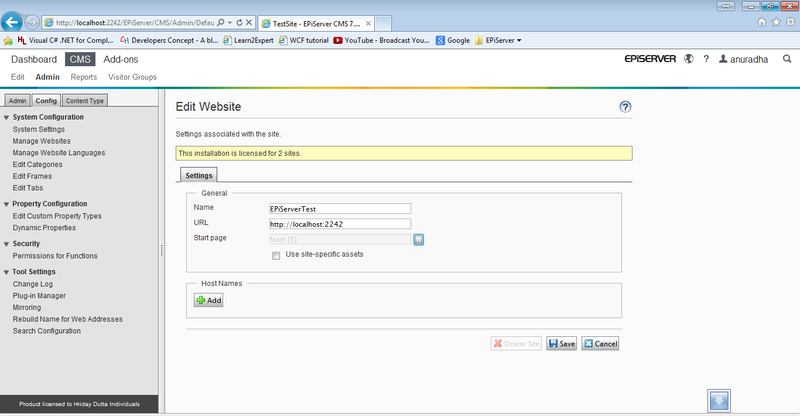 And configure this page as start page for the site. 1. Right click on Models -> Pages and select Add -> New Item -> EPiServer -> Page Type named it as HomePage.cs. And uncomment the code-block. We will discuss the details of code block later in this sequence. There is a little bit changes in code. You need to add a namespace. And an attribute. Here TempleteDescriptor attribute is used to tell controller which view to render using Path. You controller will look like this. Index.cshtml. 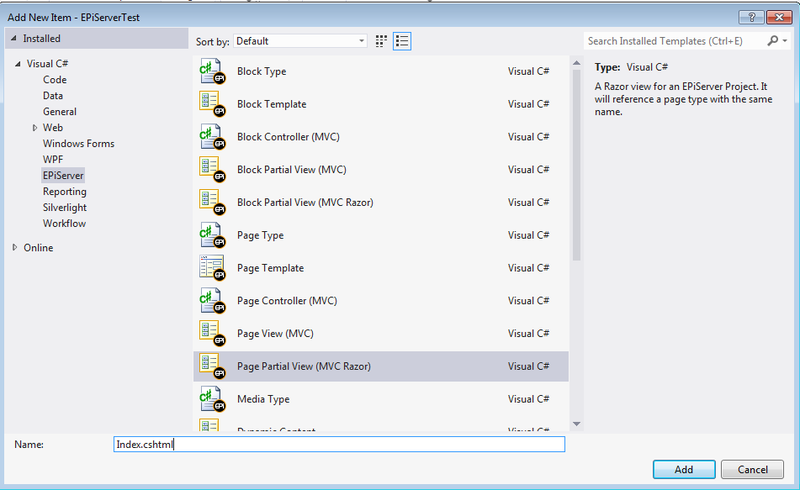 The all path and name needs to be exactly same as given in TemplateDescriptor Path. You need to modify the model on view to @model EPiServerTest.Models.Pages.HomePage. Your view will like this. 5. Build the project and hit F5. 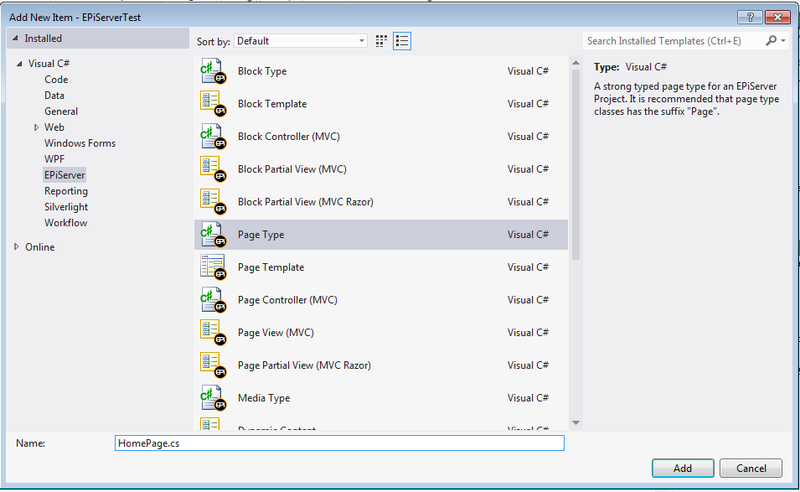 Visual Studio will start IIS Express. Now you would be able to login using your windows credential in this url http://localhost:XXXX/episerver where XXXX is the IIS Express port number for this site. 6. 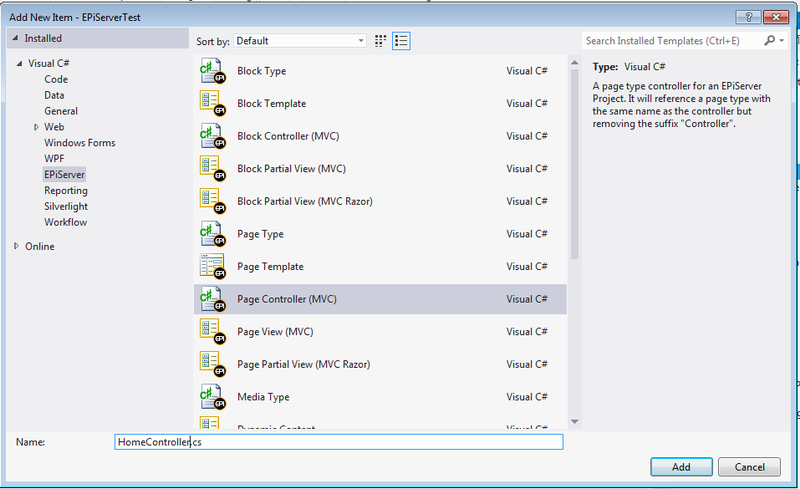 Select Pages -> Root and then Add a new page and named as Start. 7. Most important thing you need to create a developer licence for you site. Go to EPiServer Licence Center and create a developer licence and past it in root of your project folder. 8. Now set Start page as site home page. Go to Admin -> Config -> Manage Sites -> Add Site. Fill the relevant information Name, URL and select the start page as Start.